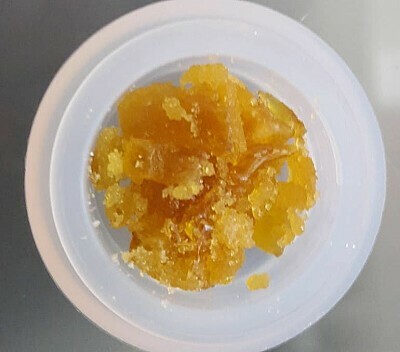 Live resin batter is a terpene-rich concentrate created by extracting the cannabis plant that has been immediately frozen after harvest. This process preserves all of the cannabinoids and terpenes present in the plant. Because the plant has not been dried or cured prior to extraction, fewer terpenes have a chance to evaporate or degrade so the end product has a much stronger flavor profile. The terpene profile of live resin is closer to that of the fresh plant as opposed to that of the dried flower. Because live resin contains higher levels of terpenes, and terpenes are liquids and act as solvents, the more liquid-like the end product turns out.